Every effort is made in our office to save our patient’s dentition, but sometimes it becomes unavoidable to remove some teeth. There can be multiple reasons that lead to the decision to extract a tooth. These include: Extensive decay where the tooth becomes non-restorable; advanced periodontal /gum disease where tooth mobility creates a hopeless prognosis; an abscessed tooth with infection that a patient prefers not to perform a root canal; or remove a root canal tooth that may by infected; and orthodontic conditions which may require the extraction of one or more teeth due to lack of space in the dental arches. 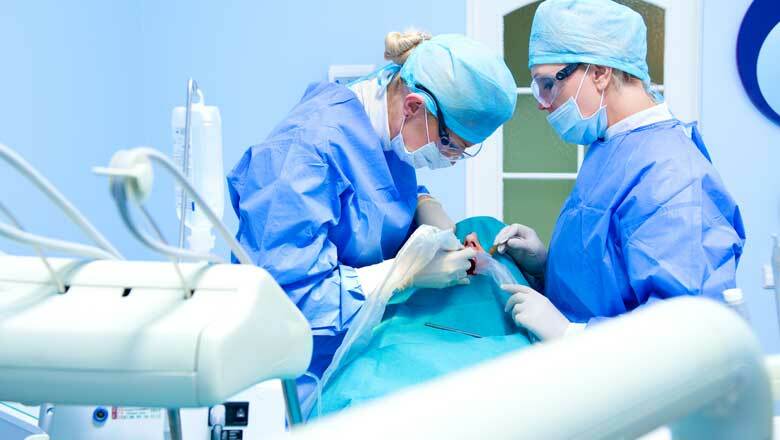 Whatever the situation may be, it is imperative that a tooth extraction is performed in a painless manner and that the bone left in the extraction site be thoroughly cleaned to remove the “periodontal ligament” and prevent any bacterial growth or infection from occurring during post operative healing. Immediately following a tooth extraction or the debridement of a cavitation site, a healing process begins that affects the eventual bone volume and architecture of the surgical sight. Satisfactory and timely healing are essential to obtain ideal functional reconstruction. Critical elements of PRP/PRF are known to be growth factors contained within the concentrated platelets. These growth factors have shown to accelerate and enhance the healing process for both hard and soft tissue. Introducing a PRP/PRF protocol for our patients will help to improve and support post operative procedures that will decrease inflammation, pain, dry sockets and reduce the occurrence of cavitations from developing in the future. Multiple sites may also be treated at the same time for patient convenience. METHODS: To create a simple and inexpensive technique to obtain PRF or PRP for use in clinical practice. Draw blood from patient using vacutainer holder with an attached sterile blood collection needle. Collect blood using a red top 10ml vacutainer collection tube for PRF and orange top 10ml vacutainer blood collection tube for PRP. Spin blood for 12 minutes in centrifuge unit at 1150 rpm’s for PRF. Spin blood for 3 minutesin centrifuge unit at 700 rpm’s for PRP. PRF: Draw off the top layer of liquid plasma from the collection tube and discard. Using sterile college pliers, remove the middle fibrin clot from tube and place onto sterile 2x2 gauge. Use sterile box to produce fibrin plug or flat, fibrin membrane. PRF sample is now ready for placement into surgical site. PRP: Using a sterile 3ml syringe with a 21-gauge needle, draw off the top clear, yellow liquid which contains the concentrated platelets or the liquid growth factors that will be used in the surgical site or mixed with autogenous bone grafting material. After a tooth extraction is completed, we offer several choices for dental medications and supplements as they relate to pain, trauma, swelling and infections. Trans Mix is one supplement used to promote the formation of healthy bone matrix in the socket as the extraction site is healing. We also offer several dental homeopathic remedies that will support bone healing and reduce inflammation. Basic pharmaceuticals products as well as homeopathics are available for our patients. 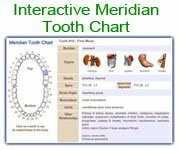 See Medications under Dental Services for more information. 1. Giannobile WV. Periodontal tissue engineering by growth factors. Bone. 1996; 19(Suppl 1): 235-375. 2. Tomoyasu a, Higashio K, Kanomata K, et al. Platelet rich plasma stimulates osteoblastic differentiation in the presence of bmps. Biochem Biophys Res Commun. 2007;361:62-67. 3. Nathan C, Sporn M. Cytodines in context. J Cell Biol. 1991; 113: 981-986.